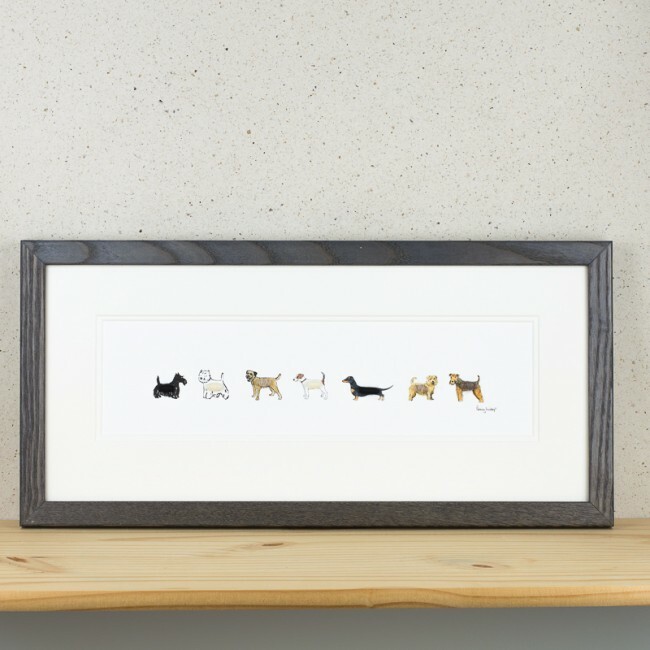 Our dogs print, in our long format is a popular choice with dog lovers at shows and we are delighted to be able to offer it online now too. 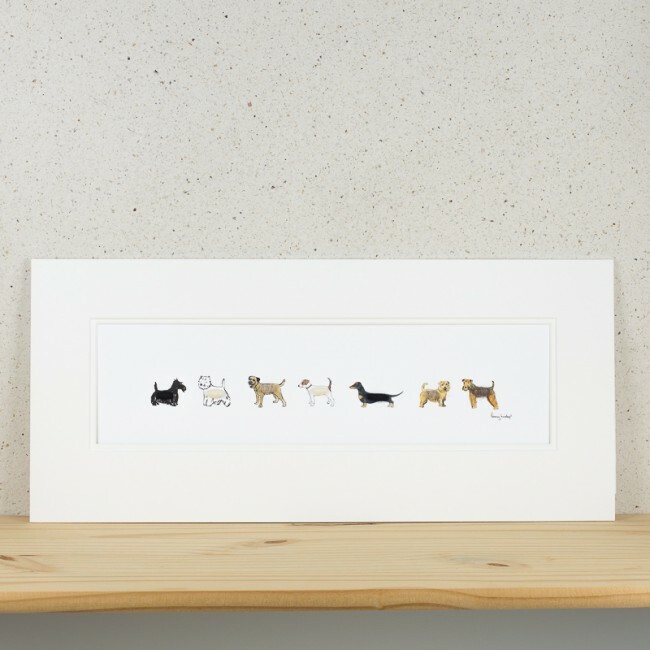 Perfect for where a wider, longer picture is needed, this print with its row of fluffy little dogs, will grace any wall. 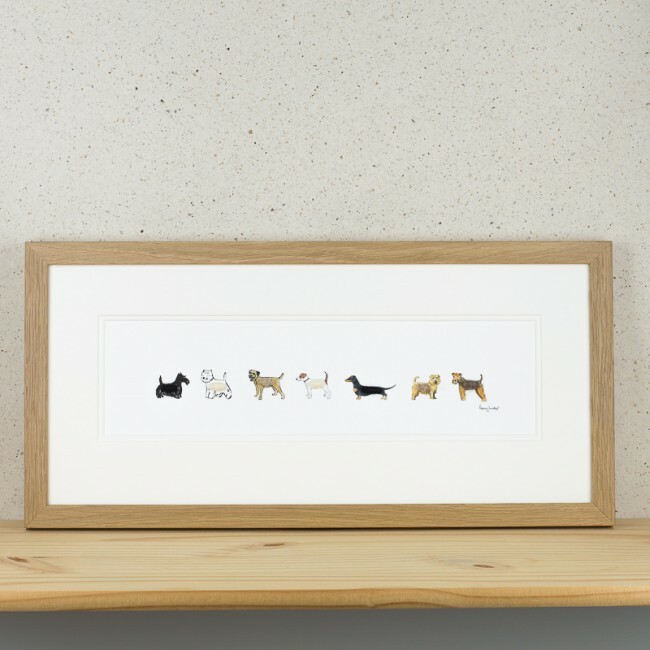 Like all our work, each dog is finished with real sheep's wool giving them all a 3D body. 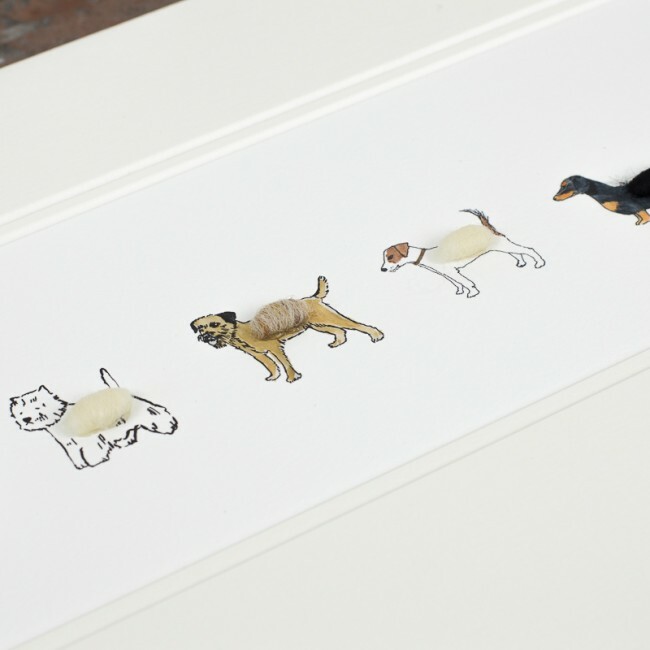 A quirky finishing touch, loved by so many. The picture is printed on an acid free archival paper made in the UK.